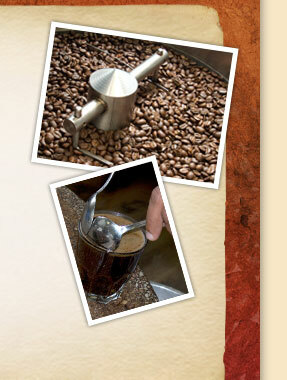 Caffè Fresco SCR's Signature Blends are designed to fit every espresso or coffee connoisseur's needs. Please take your time and peruse the Signature Blends to the left to find what will satisfy your palate and extraction-specific needs. Blending coffee is the precarious art of creating signature flavor profiles by combining two or more coffee varietals or origins. A thorough understanding of each coffee is absolutely necessary before any are combined to form an entirely different and pleasing cup. For instance, Fresco's Red Star Blend combines a hearty, heavier bodied Asian coffee with that of a winey, lighter bodied coffee from Africa to create a well-balanced, full-bodied blend. Even more so, the art of blending at Caffè Fresco Specialty Coffee Roaster is the constant honing of the craft of cupping coffees, the adjusting and maintaining of strict roast profiles, and the hand blending of each Signature Blend after roast.